Like all Caribbean islands that lie within the Atlantic hurricane belt, Jamaica is quite vulnerable to hurricanes. While the 2017 Atlantic hurricane season was one of the most active in history, with a total of 17 named storms, 10 hurricanes, and six major hurricanes. Jamaica was largely left untouched by Hurricanes Irma and Maria, which swept through the Caribbean, killing thousands and causing billions of dollars in damage. But it's important to note that Jamaica has been hit by a half-dozen hurricanes since 2000, either when the outskirts of storms have brushed the island or when a hurricane inflicted a more targeted strike. The last major hurricane to hit Jamaica was Hurricane Sandy in 2012, when the storm roared past the island before causing tremendous devastation in the United States. If you're planning a getaway to Jamaica, get the lowdown about hurricane season before you make your reservations. The Atlantic hurricane season runs from June 1 to Nov. 30, with the peak period from early August through the end of October. The Atlantic Basin includes the entire Atlantic Ocean, Caribbean Sea, and Gulf of Mexico. Hurricanes can, and do, strike in all areas of this body of water. Based on historical weather records dating back to 1850, the Atlantic Basin annually will typically experience 12 tropical storms with sustained winds of 39 mph, six of which become hurricanes with winds reaching 74 mph or greater. Three of these will become major hurricanes rated as Category 3 or higher with sustained winds of at least 111 mph. It's important to note that the vast majority of these hurricanes do not make landfall in Jamaica. 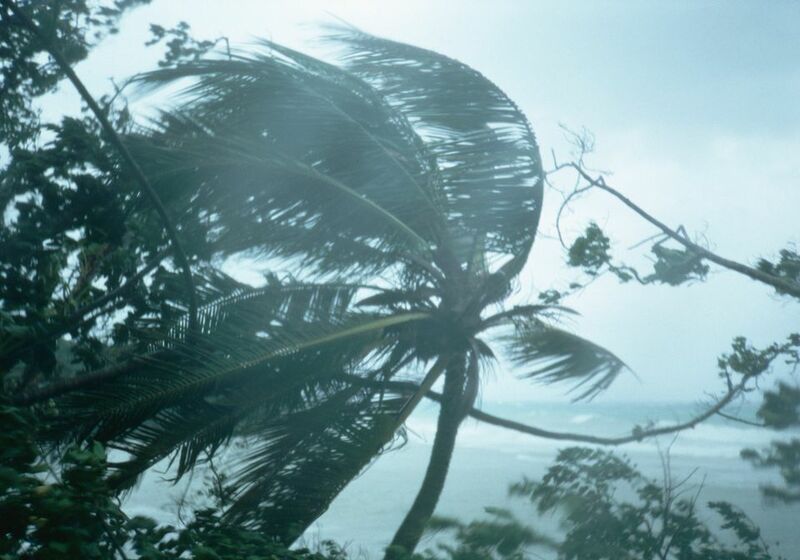 A hurricane passes near Jamaica, on average, every four years. A hurricane makes a direct hit on Jamaica every 11 years, on average. Much more common during the summer and fall are tropical storms that do not meet the threshold for a hurricane classification but still bring high winds and potential flooding. Statistically, the chances of a hurricane or tropical storm hitting Jamaica during your visit are very slim. Still, there are choices you can make to lower the risk of a hurricane disrupting your vacation. Three out of four hurricanes and tropical storms occur between August and October, with storm activity peaking in early to mid-September. Booking a getaway in June, July, or November is statistically a safer bet. If you're traveling during hurricane season, and especially during the peak August-to-October period, you should strongly consider buying travel insurance. Such insurance is inexpensive and will protect your investment should you need to cancel flights or hotel reservations. Be sure to buy insurance that specifically offers hurricane coverage. If you're traveling to a hurricane-prone destination during hurricane season, download the hurricane app from the American Red Cross for storm updates and a slew of helpful features so you can stay informed should storms be in the forecast.